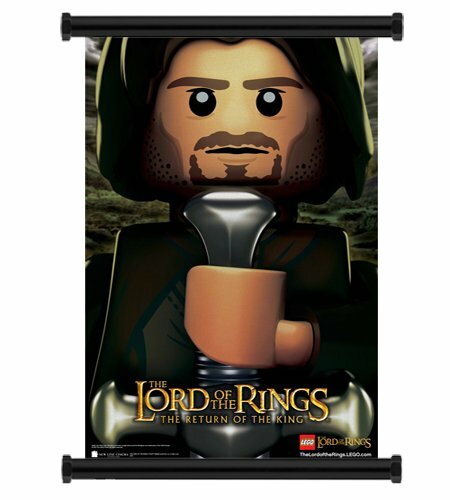 The Lego Lord of the Rings range came out in Summer 2012 . Here's how you can build a full Fellowship of the Ring collection of nine minifigures. The Fellowship of the Ring are the nine chosen at the Council of Elrond to deliver to one ring to Mount Doom in Mordor where in can be destroyed. Lego and Tolkien fans will want to create the Fellowship of the Ring with minifigures from the new Lord of the Rings Lego sets released in summer 2012. In this article we'll look at how you can collect the full Fellowship of the Ring: Frodo Baggins, Gandalf the Grey, Aragorn, Boromir, Legolas, Gimli, Sam Gamgee, Merry and Pippin. There are nine characters in the Fellowship of the Ring. 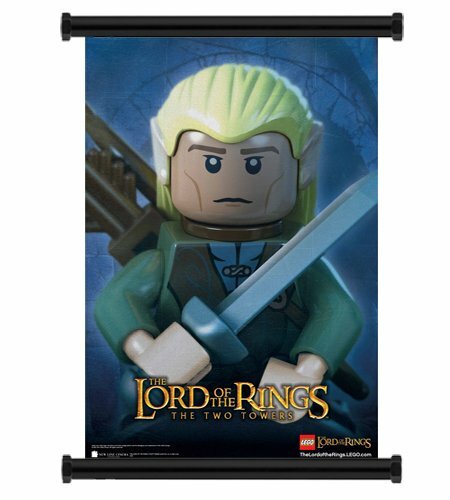 And many Tolkein fans are going to want to collect the nine minifigures in the Lego Fellowship of the Ring. Of course, these minifigures have been distributed through the sets. 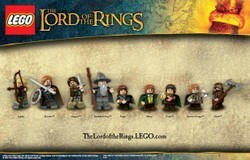 No, there's not a Lego Council of Elrond set with them all in, I'm afraid! How Can I Collect the full Fellowship of the Ring? Note that this information is based on various reports on the internet including at Brickipedia. I'll update this page as we get more official information from Lego. But the sets have now been viewed at the London Toy Fair, so the information is likely to be pretty accurate. So this means you'll definitely need to buy Gandalf Arrives, The Mines of Moria, Attack on Weathertop and Shelob Attacks. Excellent that's 9 out of the 9 minifigures from 4 sets. That's not too bad. We actually get 4 of the fellowship in The Mines of Moria set. This is the second largest of the sets at $79.99. Attack on Weathertop is a medium-sized set at $49.99 and gets us three more of the Fellowship. Shelob Attacks is a smaller set at $19.99 and gets us Sam) and Gandalf Arrives is the smallest and cheapest of the initial sets at $12.99 and gets us Gandalf the Grey. The largest set in the range The Battle of Helm's Deep has extra Aragorn and Gimli figures but since they appear elsewhere you don't need to buy this set to get the full Fellowship. Where can you find the Fellowship of the Ring Minifigures? Now we'll take each of the nine members of the Fellowship of the Ring in turn to see which sets they appear in. I think Lego have done a pretty good job of including minifigures in each set that are crucial to the story at that point. Lego 9473 The Mines of Moria is one of the larger sets in the Lego Lord of the Rings range for 2012. It's an important one for LOTR minifigures too. Lego 9472 Attack on Weathertop is one of the medium-sized sets in the first wave of Lord of the Rings Lego for 2012. Lego 9474 The Battle of Helm's Deep is the biggest set in the first wave of the Lego Lord of the Rings theme in Summer 2012. Recreate the epic battle. Lego 9469 Gandalf Arrives is one of the first sets in the new Lego Lord of the Rings theme for 2012. It's the smallest and cheapest of the initial sets. Lego 9470 Shelob Attack's is one of the smaller sets in the 2012 Lego Lord of the Rings Range. This is the set where you'll find the very important Samwise the hobbit. 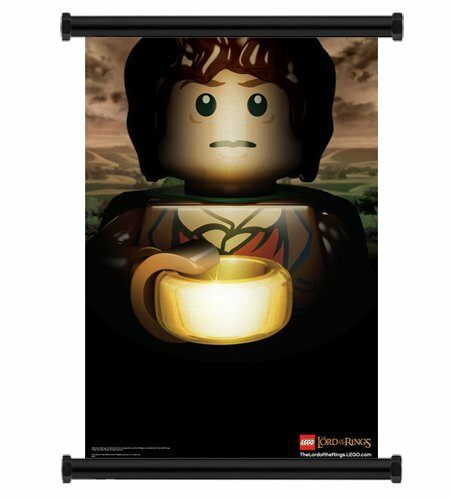 Will you be collecting the Lego Fellowship of the Ring Minifigures?